The health benefits of ginger are so many. Such as fighting nausea, improving the immune system, helps in digestion and many more. Furthermore, if you are a person who suffers from cold, especially during cold seasons, then all that you need is ginger tea with a little amount of honey. It is the best medication for treating cold and sore throat. What is ginger? Ginger is a flowering plant that is closely related to turmeric, cardamom; they all belong to the Zingiberaceae family. Ginger originated from China and it mostly grows in warm climate areas such as Africa. 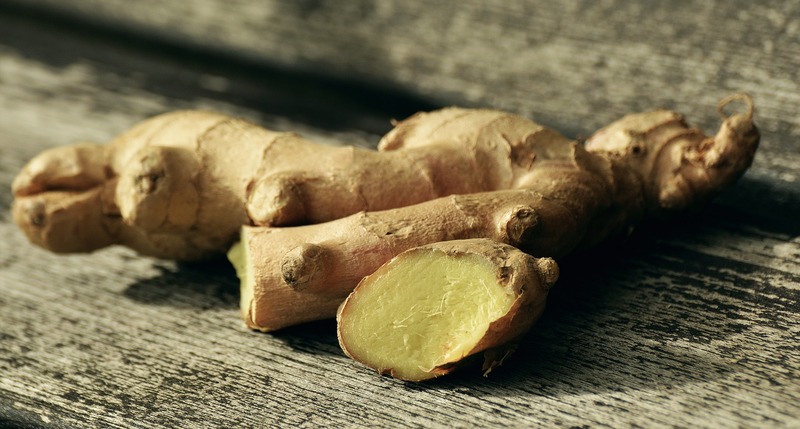 The ginger root is what is usually used; it can be consumed fresh, dried, or even powdered. Ginger has been long known for its medicinal uses, and researchers have proven that it can help to cure stomach upset. Ginger is also used for cooking as a spice, it one of the most delicious and nutritious spices in the world. Here are the amazing health benefits of ginger that you should know, that will totally change your life. Since, ancient time, sailors have been using ginger to prevent seasickness when they are sailing. Also, ginger is very important especially for pregnant women, this is because it helps to reduce morning sickness symptoms and prevent vomiting. Furthermore, when you are that person who vomiting while you are traveling, you should ensure that you drink a cup of ginger tea before you travel. This is because the ginger tea will help prevent nausea and vomiting which is associated with motion. Do you suffer from migraine pain, you should try ginger. A report that was published in 2009 indicated a powerful joint protective effect of ginger. A research was conducted in 2013 to 100patients, proved that those that were taking a dose of ginger powder daily, they had migraine relief. Once every month, women experience menstrual bleeding and there is a pain that is associated with menstruation. Ensure that you drink at least one cup of ginger tea and the pain will be relieved. Another option of relieving the menstruation pain is that, make ginger tea and soak your towel inside and place it on your lower abdomen. Are you suffering from arthritis? Try ginger, this is because ginger helps prevent the joint inflammation and arthritis pain. Ginger has the anti-inflammatory property that helps to relieve pain hence; it is an amazing health benefit of ginger. Improvement of immunity is an amazing health benefit of ginger that should make you to always use ginger all the time. Ginger has high levels of antioxidants that help to improve your immunity. Also, ginger helps to strengthen your immunity and also help to warm up your body. The best way of removing all the toxins in your body is by drinking ginger tea or using it in cooking your food. Ginger helps to fight fungal infections due to its powerful anti-fungal properties. Fungal infections such as yeast infection are very difficult to treat, due to resistance to medicine in the modern day. If you are suffering from the athlete’s foot, you should soak your foot in the warm ginger water for a few minutes and pat the foot dry after every wash. Ginger root is the most effective antifungal remedy more than antibiotics. Fighting fungal infections is not only the fantastic health benefits of ginger, but it also helps you not to get sick often. Ginger is an excellent way to take care of your health either by using ginger for your food or drinking it. Ensure that you always use ginger to spice your meals and most definitely you will reap the benefits. Whether you have a stubborn cough, fighting muscle pain, improving your immune system, ginger is the best remedy for all these problems. There are amazing health benefits of ginger and the people who used it know that very well. Rachael-Kamau is a part-time writer. She has a passion for health, travel, relationships, beauty, and Christian niches. She has been writing for close to a year. When she is not writing, Rachael-Kamau will either be reading articles or books to improve her writing skills, doing voluntary service in her community or singing in the church.